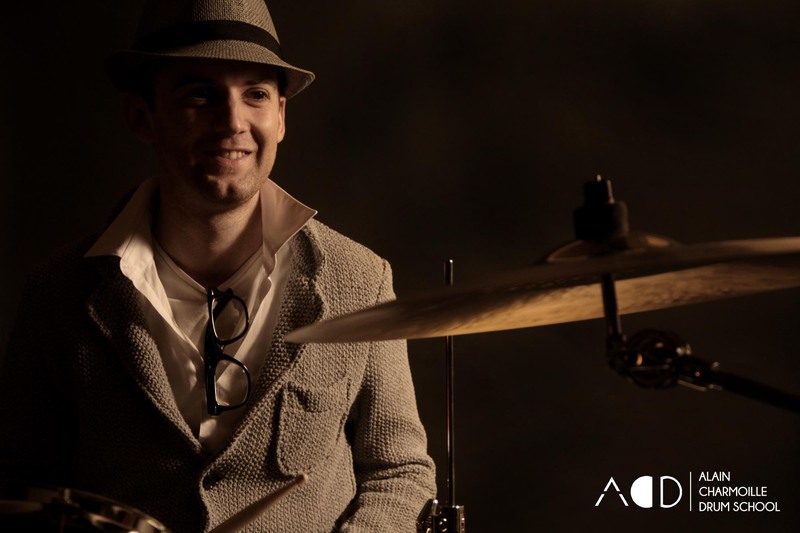 Alain began playing drums by himself at age thirteen by listening to pop and rock bands and two years after, he began studying classical percussions and jazz drumming at the conservatory in Nantes. At age eighteen, he graduated from the conservatory and started to teach drums and classical percussions in several music schools near Nantes. After 10 years at the conservatory, and numerous meetings with fantastic drummers and drum teachers, Alain moved to Paris to study some new techniques (Free Stroke / Moeller) and taught at The Groove Academy Paris for 7 years. A drummer for 15 years, Anne-Sophie took courses at The Groove Academy Paris for 6 years. Author, composer and singer, she founded the band “Phie” (pop-folk), plays regularly on stage (drums and lead vocals) and released her first album in 2014. She has been Chief Editor for 10 years as a freelancer. Camera woman and director for institutional projects, Anne-Sophie is in charge of management and communication for the school.